Blog Teams Arsenal Is The Premier League Still The World’s Best? Is The Premier League Still The World’s Best? Manchester United, England’s defending champions, went to Greece and were soundly beaten by a club called Olympiakos. Chelsea, only a year and a half removed from winning the trophy, played Turkish side Galatasaray to a 1-1 draw. Arsenal and Manchester City both battled and had brushes with bad luck, but both lost 2-0 to the Spanish and German champions respectively. Chelsea still appear to be a solid bet to progress to the UEFA Champions League Quarterfinals – though Didier Drogba will have one or two things to say on the matter before all is said and done at Stamford Bridge in leg two – but England’s other three representatives appear to be heading out of Europe’s premier club competition. When Chelsea made their stirring upset run to the title in 2012 under Robbie Di Matteo, they were the only British side to make it past the round of 16. Last year, there were no Brits in the quarterfinals. When did we decide that the Premier League is the world’s best league, and do we now need to rethink that notion? Sure, the Premier League has just about everyone on excitement. England’s footballing setup is pulsating from top to bottom, with the Premier League’s generally wide open and high-flying style of play attracting plaudits from around the world. The Premier League is the most popular league in the world, but the telltale signs that it has been knocked off its perch as the top competitive league in the world have been around for years. For almost the last decade, the esteemed gentlemen and women at the Football Association have wondered how England can be so bad while England’s league is so good. One notion, that the top clubs in England import their best players, holds some water. Still, every Englishman in contention for a place on Roy Hodgson’s World Cup squad plays in the Premier League, and having other top players around should just make them better. To better capture this question that has become the yin-yang of English football over the last handful of years, you need to ask if the Premier League is all that good. And are the top players in the Premier League really that good? In fact, none of FIFA’s 2013 Best XI play in England, and the Ballon d’Or winner has only come from the Premier League once in the last twelve years. All in all, the Premier League is one of the most competitive in the world, but the cream of the crop has very little cream. Who is going to take the mantle from Manchester United if England’s standard-bearer of the Premier League era isn’t in the Champions League next year or in the foreseeable future? According to UEFA’s metrics, the Premier League has been overtaken by La Liga in Spain. Surely Germany’s Bundesliga, which has been totally revitalized and has in turn revitalized a once stagnant German national team – you know, the one that beat England 4-1 at the last World Cup – can’t be far behind. How about the fact that many of the Premier League’s best players are leaving the league? It’s not just Bale and Ronaldo, it’s also Fabregas, Xabi Alonso, Mascherano, Robben, Pique and more. The best football isn’t in the Premier League. Neither is the best atmosphere. The Bundesliga averages almost 11,000 fans per games more than the Premier League does, and atmosphere the league’s biggest club’s grounds – Anfield excluded – is lacking. 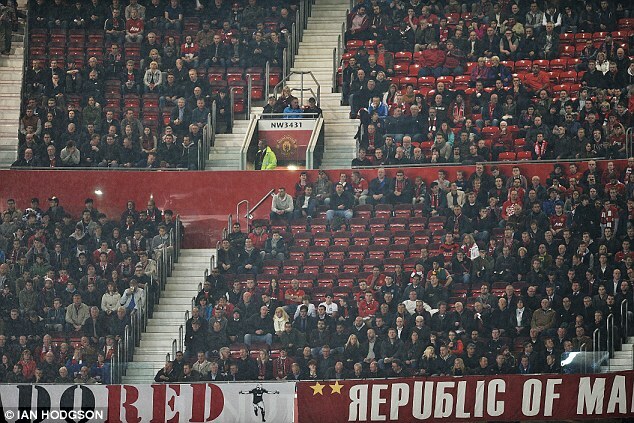 At Old Trafford, the need to institute a “singing section” speaks volumes. 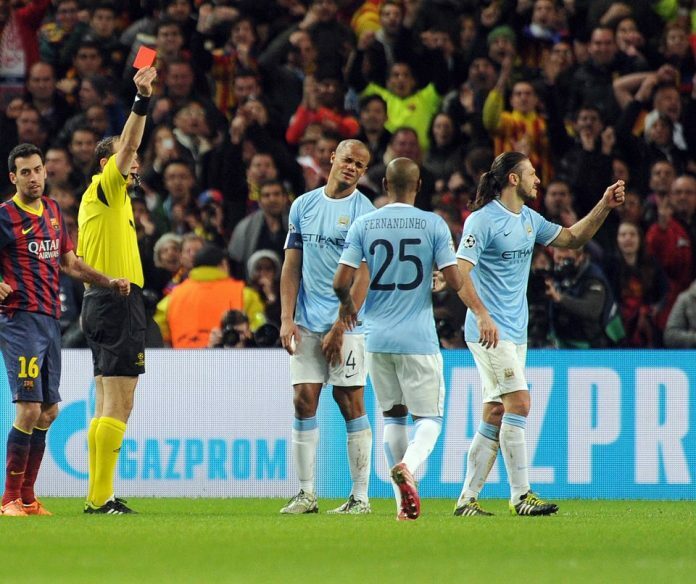 They don’t have problems with this at the Camp Nou. In reality, what makes English football special is the level of support and the role of the game for the smaller clubs. That’s why the relegation scrap and Championship playoffs are often more interesting than the races at the top when they aren’t as tight as they are this year. But having strong bottom clubs doesn’t make for a top league. Your second and third tears won’t give you international glory. If you’re only as good as your best club, the English Premier League is languishing mid-table in world football. Of course, that’s not totally true, and the Premier League is still at the top of list of best leagues in the world. Marketing and the huge advantage of the English language has done an immeasurable amount to put the league at the very top. But this isn’t a popularity contest. If recent results in the one competition in Europe that trumps the EPL show anything, it’s that the title of “best league in the world” is up for grabs. Should Scott Sinclair Start In The West Brom First Team?